One of the world's major academic publishers, Routledge, has launched the hardcover edition of Davina Jackson's long-delayed book about Douglas Snelling. Global distribution of this edition began in December 2016. 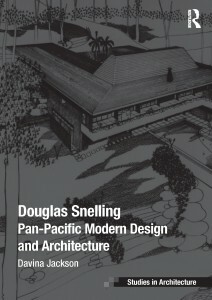 Titled Douglas Snelling: Pan-Pacific Modern Design and Architecture, the book has been endorsed by the State Library of New South Wales and is illustrated with approx. 150 mono images, including many original drawings from Snelling's studio and photographs of his key buildings by legendary Australian photographer Max Dupain. 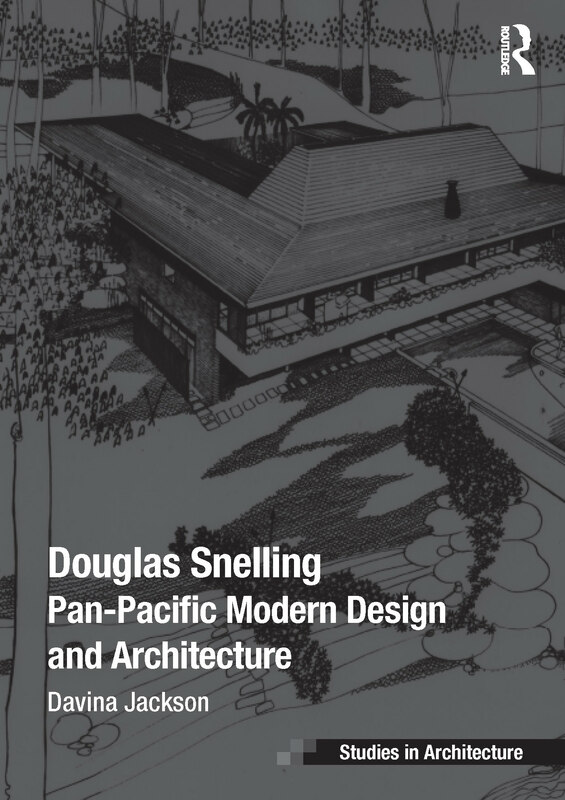 Douglas Snelling is the newest volume in Routledge's peer-approved Ashgate Studies in Architecture series, edited by Eamonn Canniffe, the Cambridge and Harvard-educated head of the MA Architecture and Urbanism program at the University of Manchester's School of Architecture. He describes the project to reclaim Snelling as 'exciting'. Jackson is promoting Snelling to British historians as one of England's notable emigré modernists of the mid-twentieth century. He practised mainly in Sydney—but also in Los Angeles, Wellington, Noumea and Honolulu—from the mid-1930s to mid-1970s. Douglas Snelling is formatted for the academic library market and priced at UK£95 (AU$149.95). 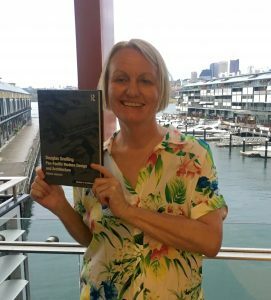 Order online from Routledge or Amazon.